Are you looking for experienced professionals to handle your surveying needs? Then contact Austin Surveying & Mapping and end your search with us. Austin Surveying & Mapping, based in Carthage, Texas, is a surveying company. 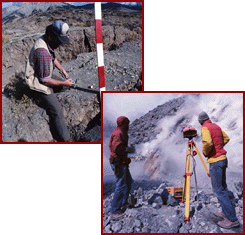 We handle all kinds of land surveying, with a specialty in boundaries. We also do oil and gas surveying, including pipeline routing and site staking. Layouts for construction sites and elevation and FEMA Flood Zone certificates are available as well. We have facilities for computer drafting and wide-format copying. The owner is Rebecca Austin, a native of Panola County. Give Austin Surveying & Mapping a call today. We'll be glad to answer any of your questions, and we're sure you'll be pleased with our professional, accurate service. Be sure to ask about our free estimates. Contact us about our surveying services.